My son’s medical journey, I mean. Yes, I finally became a member of DSAPI. After several months of contemplation, I finally realized and accepted that I need them for my son. Let’s just say that I am still in the process of accepting my new reality and that it was not the reality that I had hoped and planned for. It’s not going to as easy as 1-2-3, you know. It takes time to let all those hopes and dreams go and build new ones. I am still a work in progress. So becoming a member has been a big step for me. Now, enough of that, before I go teary-eyed and start to pour my heart out (trust me, you wouldn’t want to know all that 😛 ). Becoming a member of DSAPI has quite a few perks. Given that it is not easy (and I mean NOT easy) getting an appointment with a Development Pediatrician, DSAPI was tapped by Ateneo School of Medicine for their outreach program. The slots were limited (as I think there was only 4 slots for each Friday until the last Friday of August) but I was able to secure a schedule for my little Z. 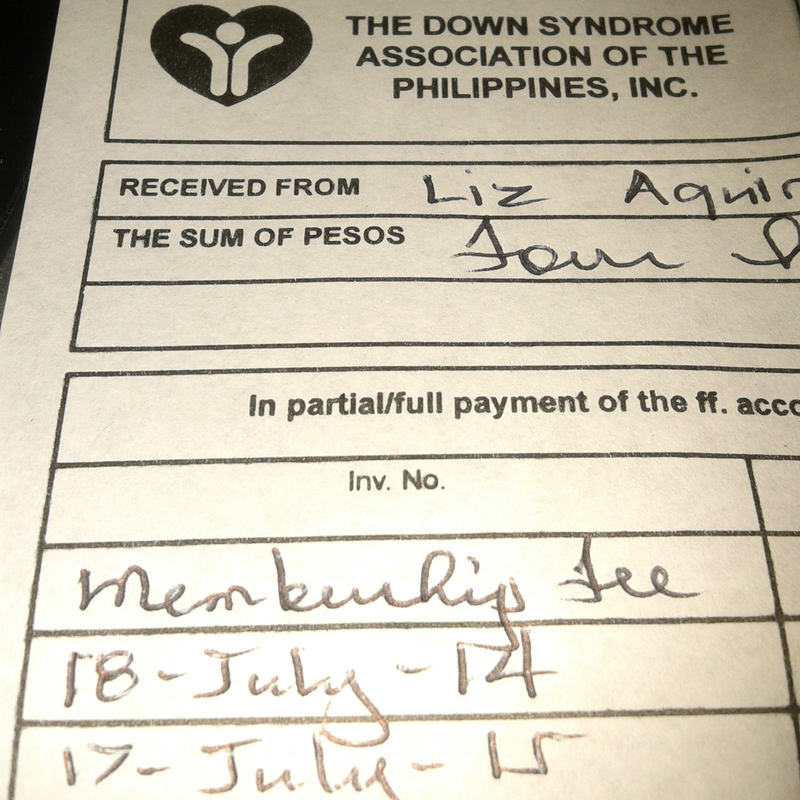 The consultation was done at MedMom Child Development Clinic in Fun Ranch, Ortigas, Pasig. We got there about quarter to 1 PM and the doctor arrived about an hour after. Little Z was assessed a few minutes after that. Overall, Little Z has global development delay. He’s already 10.5 months old but in terms of development, overall, he is at around 5 months. I guess I knew that all along but hearing it said out loud from a reliable source (aka Dev-Pedia), I felt heartbroken. The doctor talked to me outside of the room while my sister watched my little boy while the medical students check on Z’s stats further. I was actually hearing what the doctor was saying but something in me just wanted to start arguing with her. Good thing I was able to keep my composure and was still polite all through out. The doctor explained that her assessment was based on what she was able to observe during the time that she saw my son. My only problem there was that the assessment was done when Z had just awoken from his nap because he was disturbed. Given that his nap was disturbed, you couldn’t really expect him to be his usual talkative and playful self. 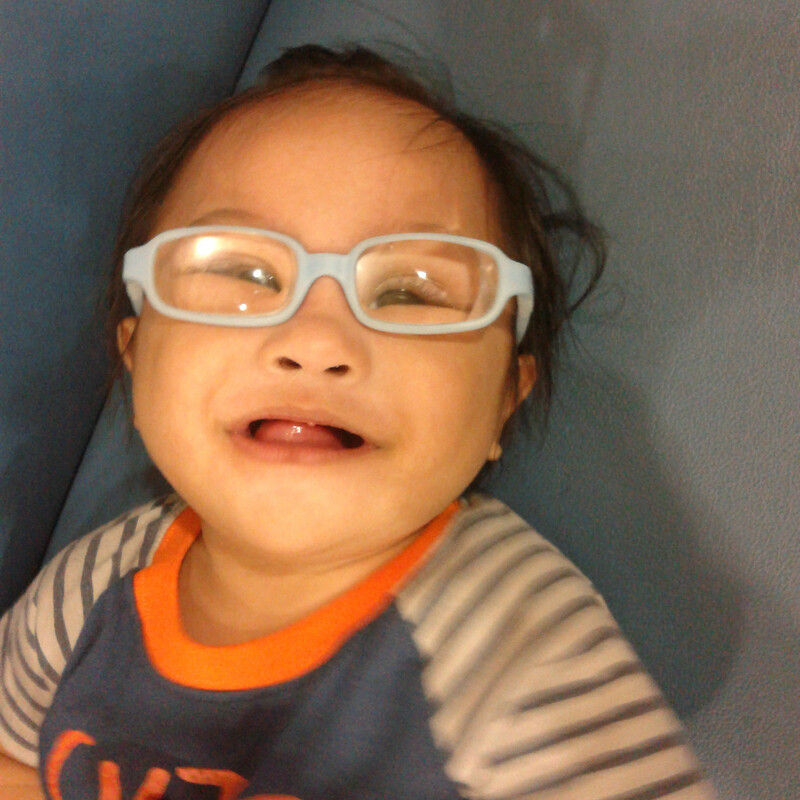 He did babble a bit during the assessment but not the usual one when he is wide awake. He didn’t reach much of the toys showed to him regardless of the color because he was more distracted by the environment he was in. My son knows when he is in a new place. You would have to give him about an hour to observe his surroundings before he would totally divert his attention to anything else. I guess I just find it quite unfair that my son was assessed in such a wrong time. But I guess that is me being the distrustful mom when it comes to doctors. I dunno, I guess the first few months that my son and I went through just made a dent in me that I find myself questioning everything a doctor is saying. Well, with a few exceptions, of course. Maybe the assessment is accurate, maybe it’s a bit off. Regardless, my son has developmental delays – I do accept that – and it is something that I need to address as soon as possible. He was also recommended for a thyroid test which I had it done this afternoon (poor little Z cried while being restrained prior to being pricked with a needle for another blood extraction). The results will be released by Tuesday. Crossing my fingers that it will all be normal (or passed, whatever the terminology is used there). So many decisions to make and so may appointments to set all at once. This is another set of information and emotional stress overload. Well, welcome to my new reality. Thanks, Mommy Cel. I am now just enjoying whatever milestone my son reaches. I guess this is my lesson in patience (I am known to be impatient 😀 ). But at the same time, it’s not easy getting envious of other “normal” babies doing things that they should already be doing at a certain age. How is your daughter?